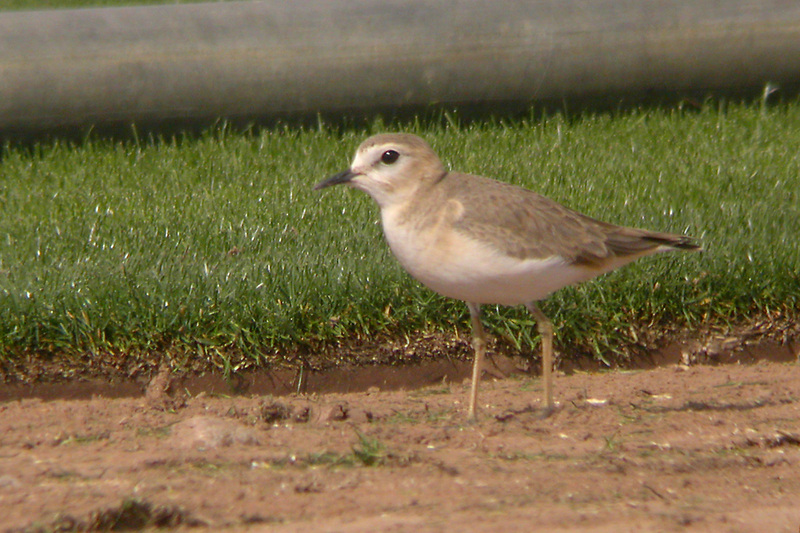 Mountain Plover is a scarce winter visitor to southeastern Arizona, with just one reliable, regular site. 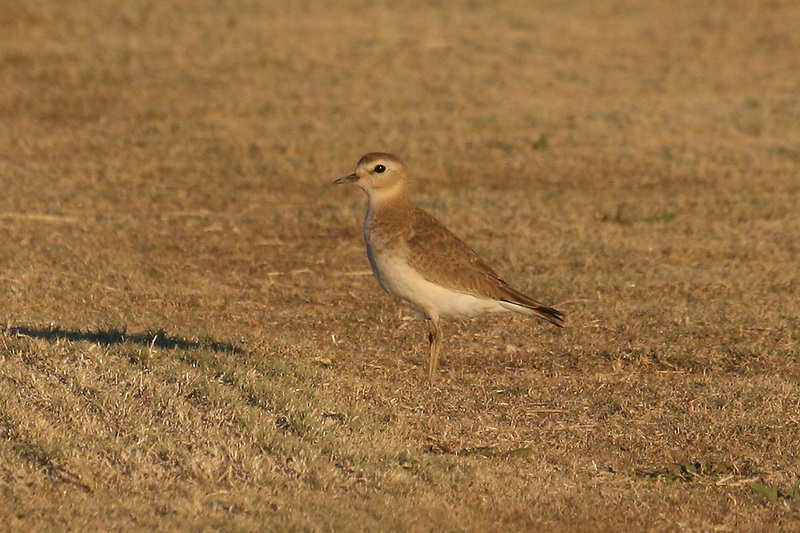 There are a few oddball records of Mountain Plover in SE Arizona from August and September, and a few more from October, but ordinarily the first returning winter Mountain Plovers are found in the first or second week of November. They remain through the end of March, when they promptly migrate, leaving no April records. 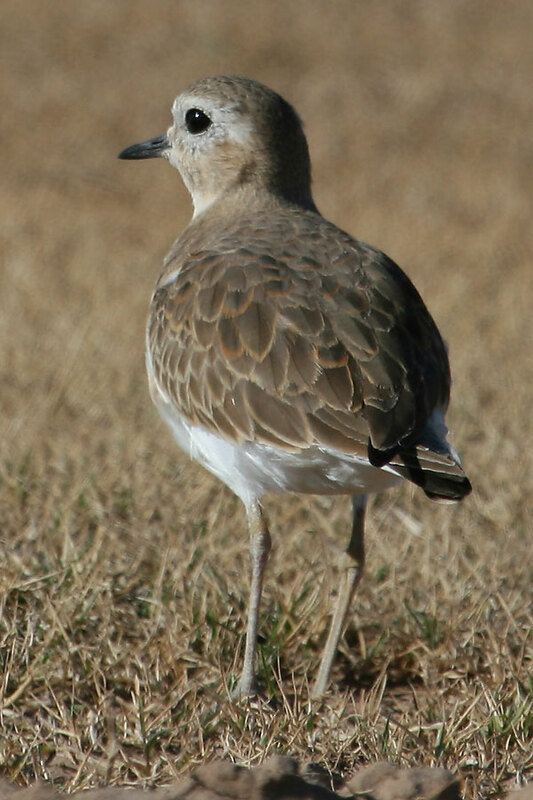 Mountain Plover breeds on plains and short-grass prairies in a band to the east of the Rocky Mountains, chiefly in Montana, Wyoming and Colorado, reaching as far south as northern New Mexico and the top of the Texas pan-handle. They winter in Arizona, California and Texas. 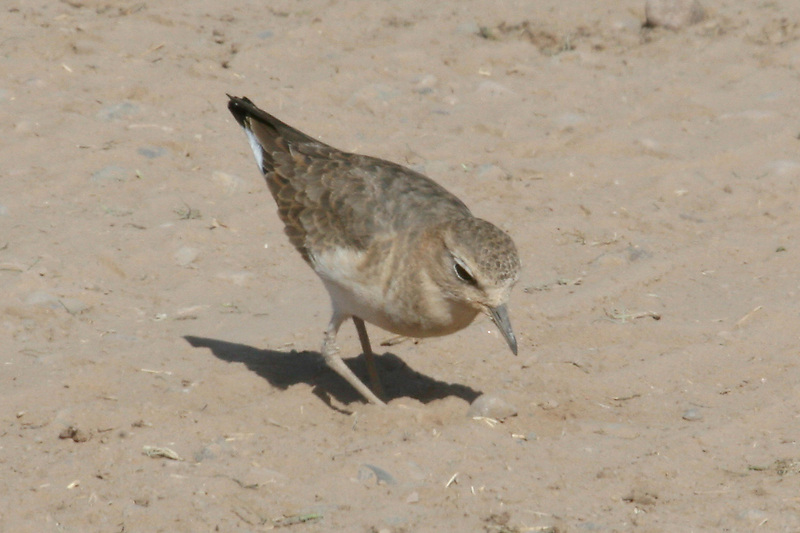 Mountain Plover is classed as “Near Threatened” with a population of only 5,000 – 10,000 individuals. 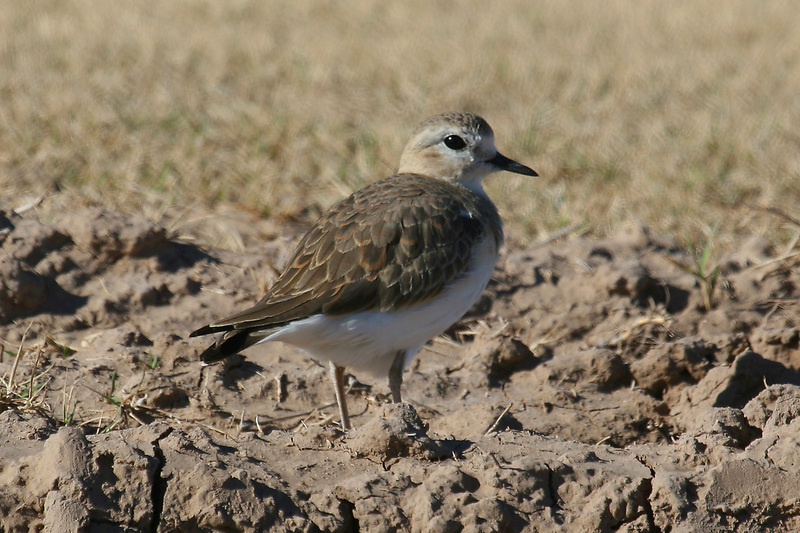 Mountain Plover winters in SE Arizona in the Santa Cruz Flats and Sulphur Springs Valley, preferring sod farms, short grass, bare ground, plowed fields, and short crop fields. Tends to use traditional areas. 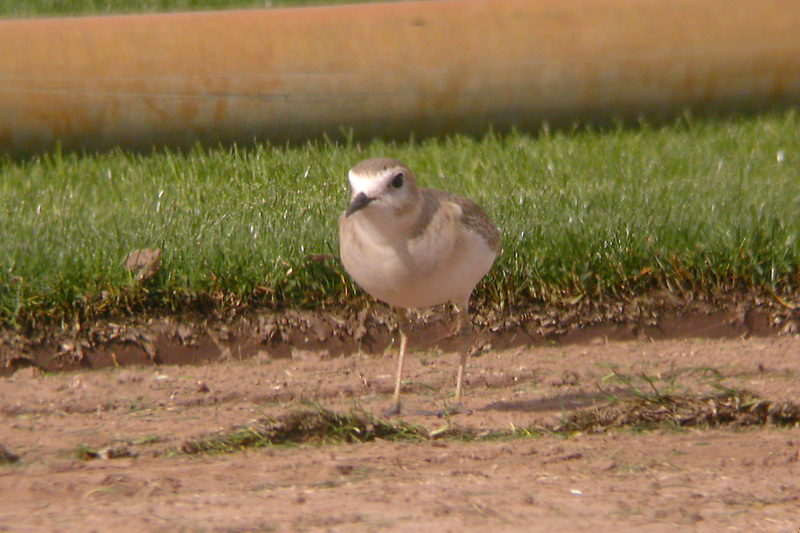 Mountain Plover is a regular wintering bird in SE Arizona, but there is only one reliable spot, the Santa Cruz Flats, northwest of Tucson and south of Casa Grande. 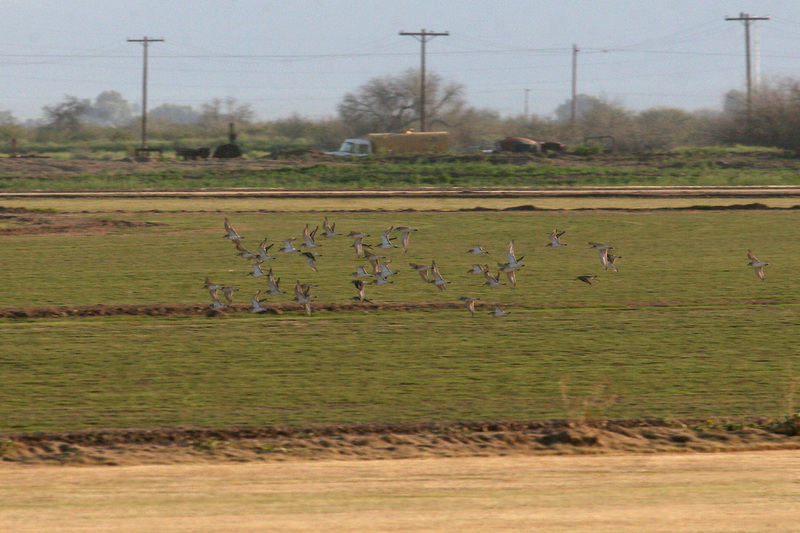 Every winter, small flocks, often in the 10-40 range but exceptionally over 100, can be found in the area. 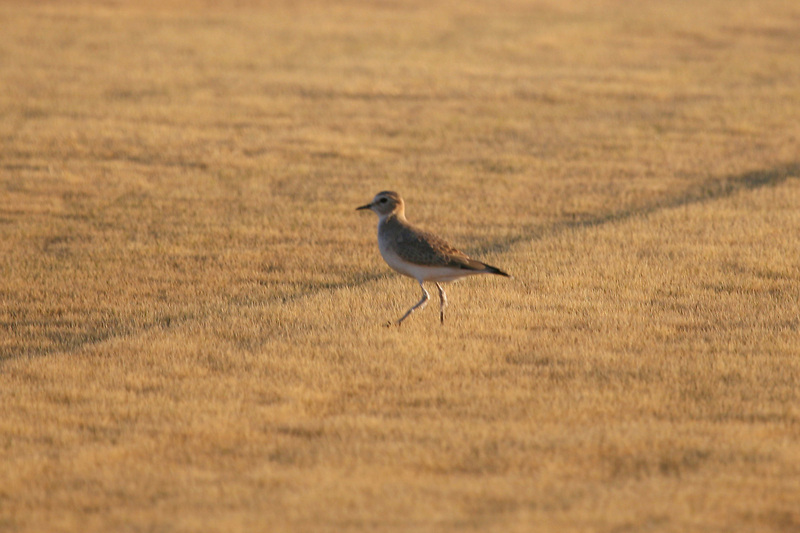 Most winters, a small flock or two are found in the Sulphur Springs Valley, but while there are traditional areas, locating the plovers is entirely dependent on the field use each winter, so pinning down this small wintering population is usually difficult. 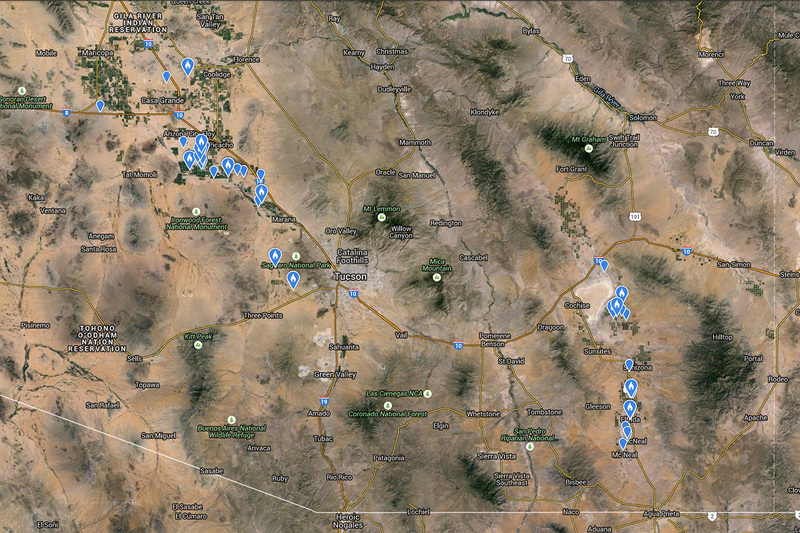 The overwhelming number of Mountain Plover sightings in SE Arizona are made at the Santa Cruz Flats, but there are also rare records from fields around Casa Grande, Red Rock, Marana, and the Avra Valley, all northwest or west of Tucson. 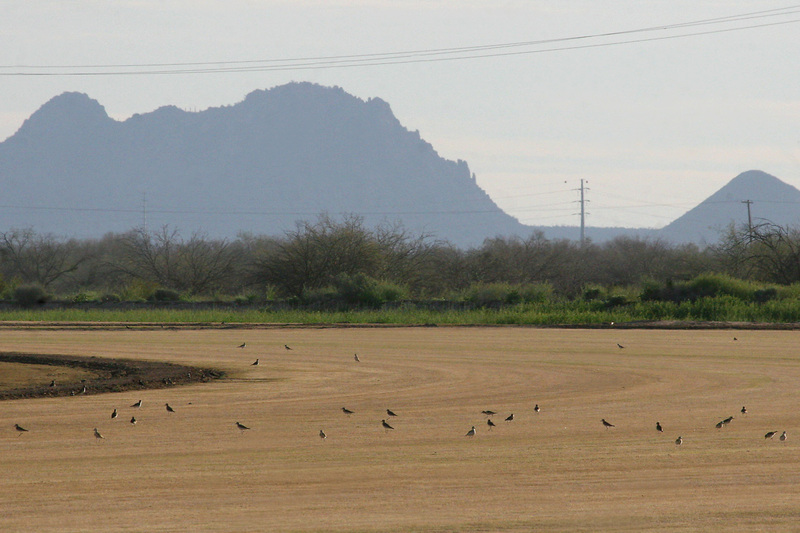 The best place in SE Arizona to look for Mountain Plover is at the sod farms in the Santa Cruz Flats, particularly Evergreen Sod Farm at the intersection of Pretzer Rd and Tweedy Rd. Look from numerous vantage points along the dirt roads. 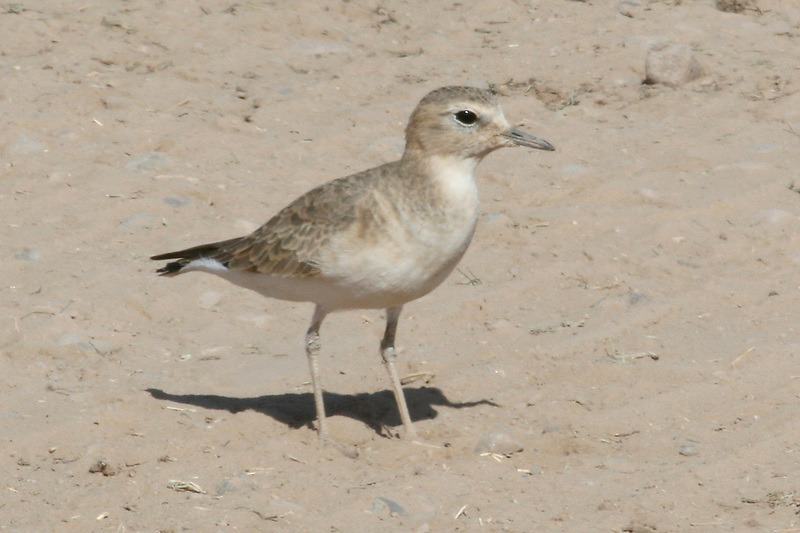 Mountain Plovers are also found from time in the Sulphur Springs Valley, south of Willcox, and traditional sites are the area north of Kansas Settlement (eg: Robbs Rd) the area to the north of Elfrida (eg: Webb Rd), and the northwest corner of the Davis Rd x Central Highway intersection near McNeal. The Sulphur Springs Valley sites are far less reliable for Mountain Plover than the Santa Cruz Flats, as the numbers are smaller and suitable habitat is rotated around a large area. 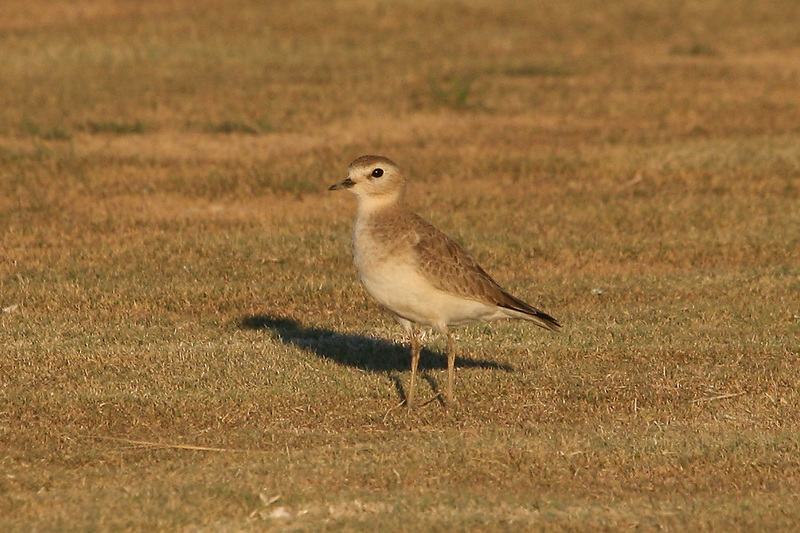 The best place to look for Mountain Plover is at sod farms in the Santa Cruz Flats, where they can be found feeding and resting on short green grass, short yellow grass and bare areas. 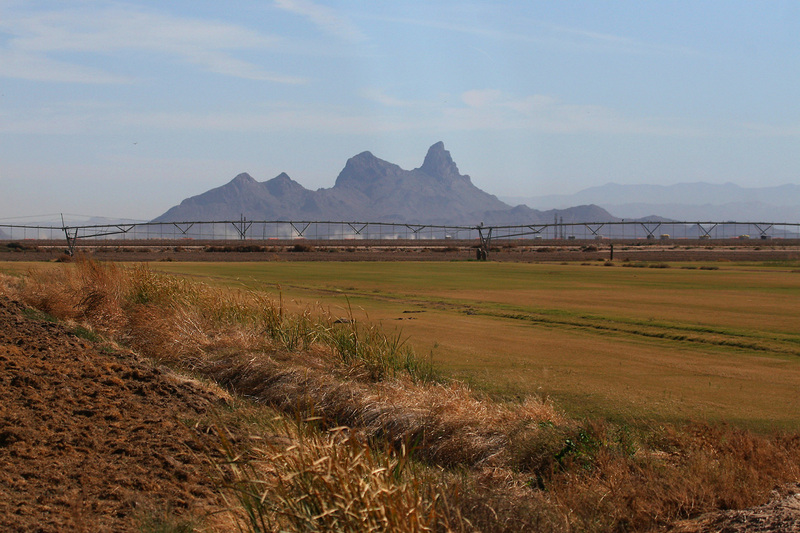 But don’t get blinkered – they are not always at the sod farms, and can sometimes be found on fields with short crop, plowed fields, and bare sections of desert. 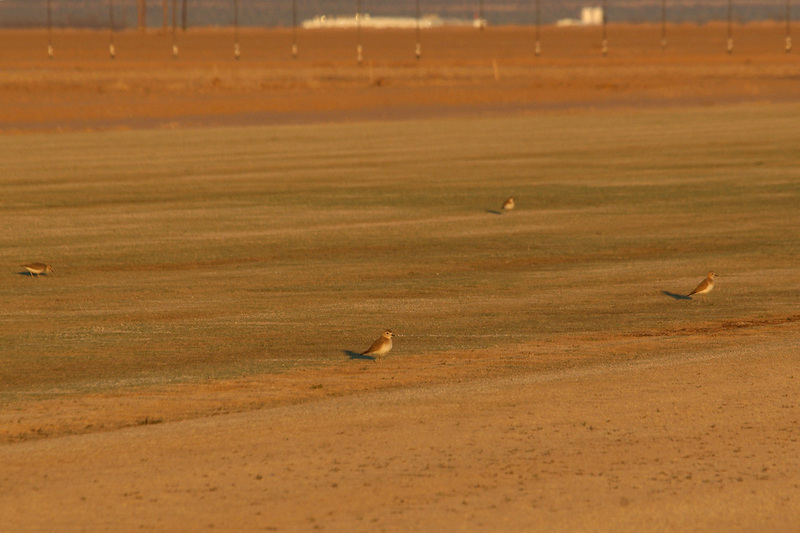 Pay particular attention to the sod farms, but don’t forget to look for Mountain Plovers in other suitable habitat nearby. 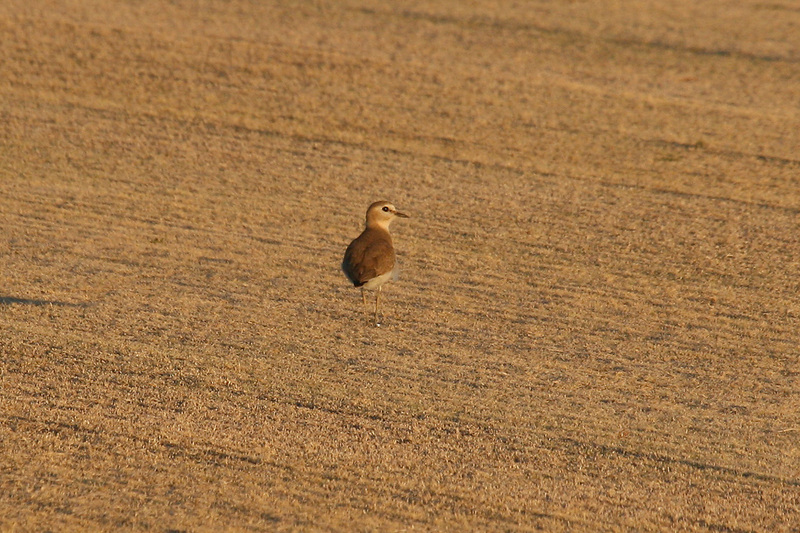 Drive the dirt roads, looking for Mountain Plover flocks, or Killdeers, which the plovers sometimes hang out with. But also get out of the car at regular intervals to scan the area. A spotting scope is highly recommended for scanning distant fields. 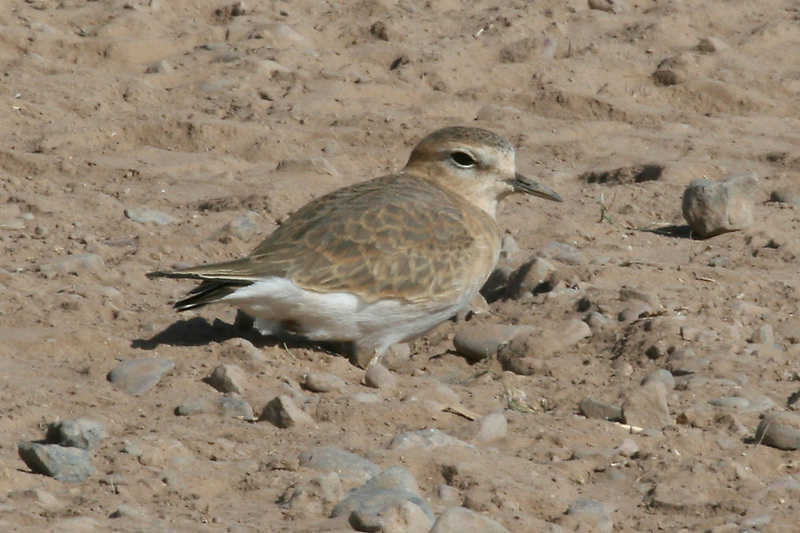 Mountain Plovers are variable in their non-breeding plumage, and they can present differently, depending on the light and background, sometimes blending in, sometimes standing out. 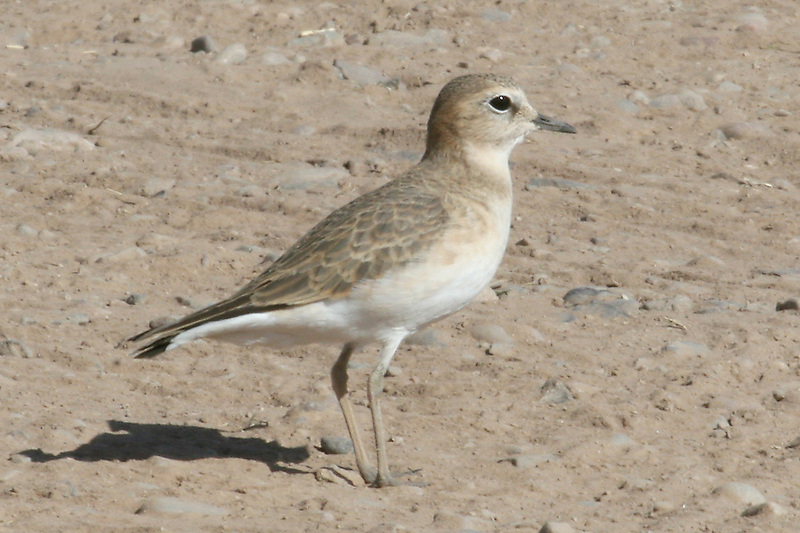 Between feeding sorties, flocks of Mountain Plovers can go dormant, sitting down on the ground and becoming even more difficult to pick out. Mountain Plovers fly in and out of feeding areas fairly frequently, so it’s very useful to know what they look like in flight, and how they call in flight. 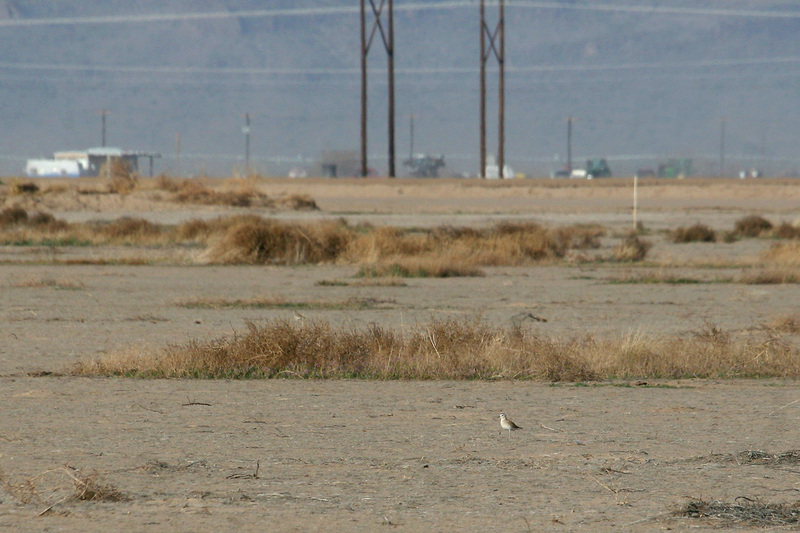 Wintering Mountain Plovers in southeastern Arizona do call quite frequently in flight, but rarely on the ground.